Comment	 The Small Magellanic Cloud in the constellation Tucana contains several HII regions within its irregular structure. 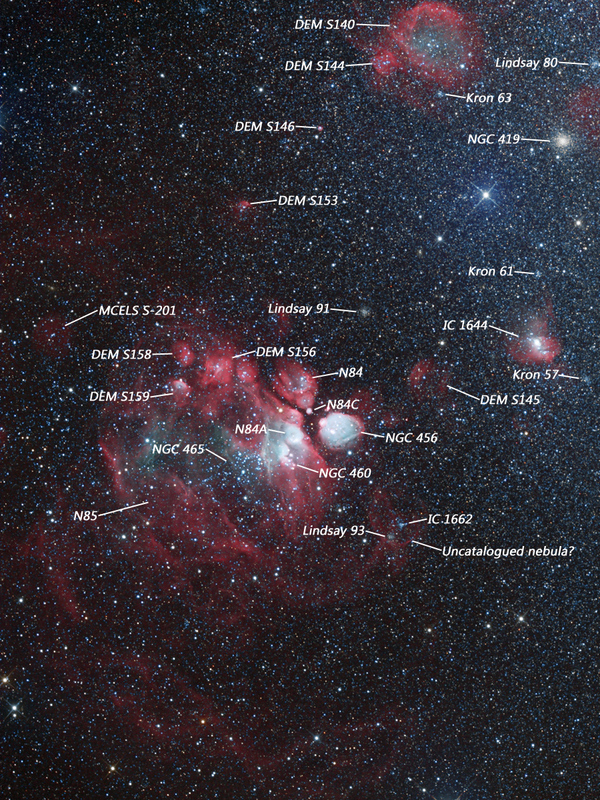 Most are active star forming regions similar to the presented image. Here the vibrant open cluster NGC460 is surrounded by a complex array of nebulosity comprising of hydrogen (red) and oxygen (blue/teal). The bright oxygen shell beneath the cluster is NGC456. NGC460 was discovered in 1834 by John Herschel.